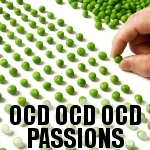 I have Obsessive Compulsive Disorder, O.C.D. This is a condition that drives me crazy, but it's a bad habit that's hard to break. I'm a perfectionist and I've always been this way. Also, even though a person's personality is the most important looks do matter some. Furthermore, if you're not between the ages of 42 and 57 don't bother emailing me! I'm tired of you young guys emailing me and men with no pictures of their face on their profile. Most of you young guys aren't very mature and aren't ready for a real relationship or a longterm relationship. I'm not interested in any young man.